On October 17th, the 2017-18 NBA season tipped off with an opening night doubleheader on TNT. 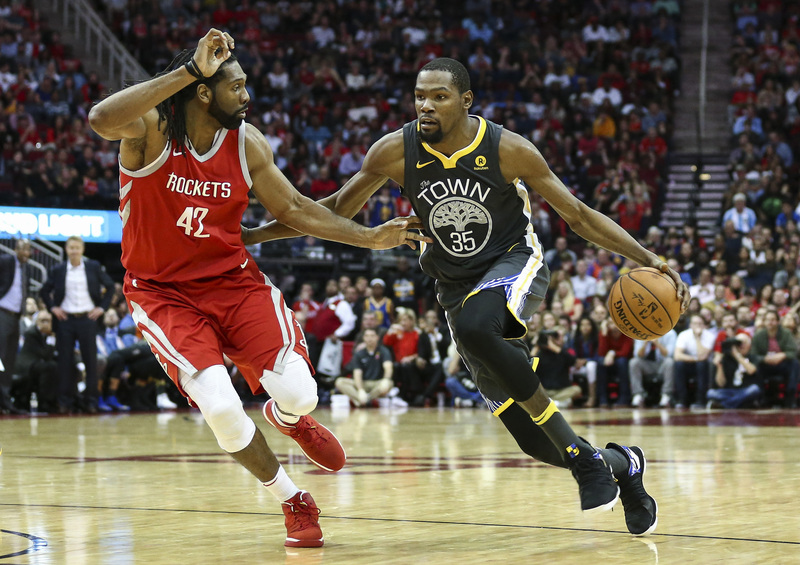 The nightcap featured the champion Golden State Warriors’ ring ceremony… and an epic slugfest with the Houston Rockets — a game which ultimately was separated by only a last-minute free throw. 2,517 NBA games later, both teams have persevered through a season-long rash of injuries to their best players. Each franchise rode on the backs of elite coaching and their respective talent surpluses en route for a chance at becoming champions of the Western Conference. While everyone in this de facto Finals has a lot on the line, I’d argue a successful series would mean more to Chris Paul than anyone else. The Point God enters his most important playoff match-up with a band of scorers seeking to destroy, a point guard’s dream coach, and a worthy co-star in James Harden. 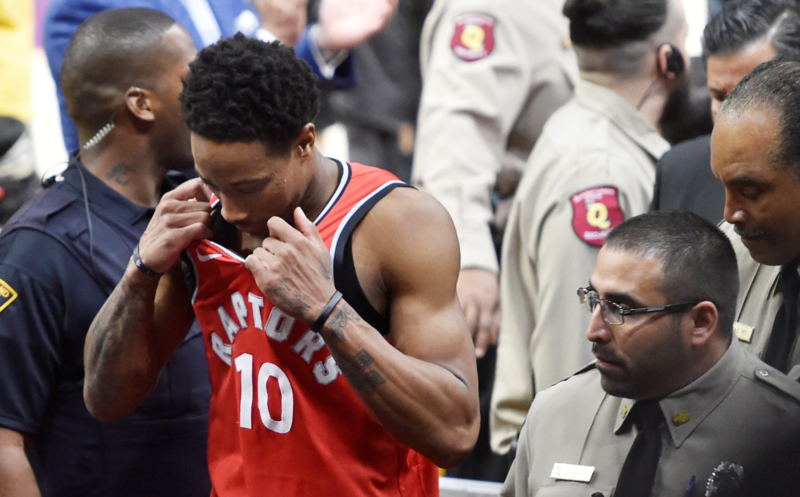 On a close-knit team that’s mature enough for Paul’s vocal guidance, he has a chance to shed the “playoff choker” label and finally take the floor in the NBA Finals. All that stands in his way is perhaps the greatest constellation of top talent in the history of basketball: Curry, Thompson, Green, and Durant. Look for Paul to challenge Curry’s defense in addition to being physical with him off the ball. He’ll also follow Thompson as he darts around the arc, and even check Durant on occasion (height difference be damned). He’ll have to somehow match Green’s mix of passing wizardry and trash talk whilst also outwitting Steve Kerr. Every trick in the bag must be unveiled: the automatic pull-up when curling off the elbow, defense that hugs like wet socks, the nastiest floaters, dime drops, and his special brand of annoyingly effective Paul gamesmanship. This is Paul’s 10th postseason — and the first time he’s been just eight wins from a title. The NBA’s active leader in steals and assists continues to evolve from the floor general who still possesses a potent mid-range game and expert defense. Paul took more threes this year while playing off the ball than in any of his prior 13 NBA seasons. Additionally, he clearly has a better relationship with his teammates than he ever had in LA. Watch what Paul pulls out of his bag in his first Conference Finals. We’ve been waiting for a long time to see him on this stage. Can Anyone Guard Kevin Durant? Durant was certainly lethal in the Warriors’ four wins over New Orleans during the second round. Durant had point totals of 29, 24, 26 and 38 in the victories. He blew past slower defenders, nailed pinpoint jumpers over shorter guards, and finished off thunderous jams in transition. Several Rockets will be tasked with Durant — though P.J. Tucker, Luc Mbah a Moute and Trevor Ariza will shoulder much of the responsibility. KD shoots in isolation more than any Warrior. If he’s as locked in as he was shooting over Jrue Holiday, he’s taking no prisoners. In his first six playoff series with Golden State, Durant has lost a total of 3 games. When the Golden State Warriors became the first team to have four All-Stars in consecutive seasons, Green received the least amount of votes. He doesn’t have a signature shoe deal like Curry with Under Armour, Thompson with Anta or Durant with Nike, but he still holds this series in his hands. Since Steve Kerr started the “Hamptons 5” — an evolution of the 73 win team’s “Death Lineup” — it’s Draymond’s show to run. He’s the force that starts it all. Green routinely barrels down the court in transition to activate shooters camped around the arc. He anchors the defense — pushing the opposing big from the rim and helping at the perfect time. The riskiest proposition is when he decides to chuck threes. Makes at home results in the raucous Oracle crowd going nuts. Misses on the road give opposing fans life. Green’s best activates his talented teammates in every situation. When the Warriors are playing peak team basketball, he isn’t afraid to let everyone know about it. Tensions will be high in this series as the two teams are chock-full of veterans that crave chippy play. It’s the perfect scenario for Green — whose all-encompassing grip grows even tighter when the game gets juicy. What will Clint Capela’s role be? The Rockets thrive on shared responsibility. Multiple players fill the roles of the team with consistency and confidence. If Paul’s isolation penetration isn’t yielding the right results, the Rockets hand the keys to James Harden and vice-versa. If Luc Richard Mbah a Moute and Tucker aren’t making threes, Ryan Anderson and Gerald Green will steal their shots. If those guys can’t defend, they’ll be subbed out for Ariza and Eric Gordon. But Clint Capela, — who finished the regular season as a top-ten player in defensive rating, blocks, rebounds and field-goal percentage — has no substitute. Capela can be the pivotal third star against the Warriors. His traits are irreplaceable. In the 55 games the shot-blocking, alley-oop crusher was on the floor with the starting backcourt, the Rockets were 50-5. On average, they won those games by over 11 points. In this series, Capela will be asked to guard Durant, wall off a relentless array of Warrior cuts, and organize the Rockets half-court defense amid chaos… all without fouling. His versatile, imposing presence is crucial against a team that can score from every angle. While Capela’s on the floor, he’ll contest everything with relentless energy. In the previous round against Utah, he closed the door in the final two games of the series with a combined 11 blocks. On offense, he opens up the game for the rest of the Rockets with his ability in pick-and-roll situations. Capela forms a deadly fusion with Harden and Paul. He effectively runs the floor like the graceful soccer player he once was back in his native Switzerland. Dishing inside was a valuable play for the Rockets this year. They trailed only Indiana in baskets scored by the rolling big man. Nearly a quarter of Harden’s passes are to Capela. Many of those lobs as captured in the video below from The Ringer’s Kevin O’Connor. This forces teams to leave the perimeter — where the Rockets made an NBA record 1,256 three pointers this season.